Elvis Weddings and Celebrations presents Nick “The King” Nicolas, voted Australia’s No.1 Elvis Impersonator, taking out the prestigious Ultimate Elvis Tribute Artist Competition at Surfers Paradise 2017 and representing Australia In Memphis Tennessee as Australia’s Best best Elvis. Specialising in both 50’s young and 70’s jumpsuit era Elvis, Nick “The King” Nicolas is the closest you will get to the real thing and is the number one choice for all festive occasions. Whether it is entertainment for your wedding, renewal of vows ceremony, corporate or private function, Nick will ensure that the entire party comes alive as soon as he steps out onto the floor and will guarantee that everyone participates and has a fantastic and enjoyable experience. Nick’s looks, precision moves, vocal ability and charisma is second only to the King himself and he prides himself on providing a show which will take your guests back to a time when the King was at his peak. Nick is dressed in a collection of exact replica costumes flown in from Las Vegas and performs to the highest quality backing tracks from Kingtracks America which features 10 piece orchestra and backing singers to give the sound and atmosphere of a full live performance. 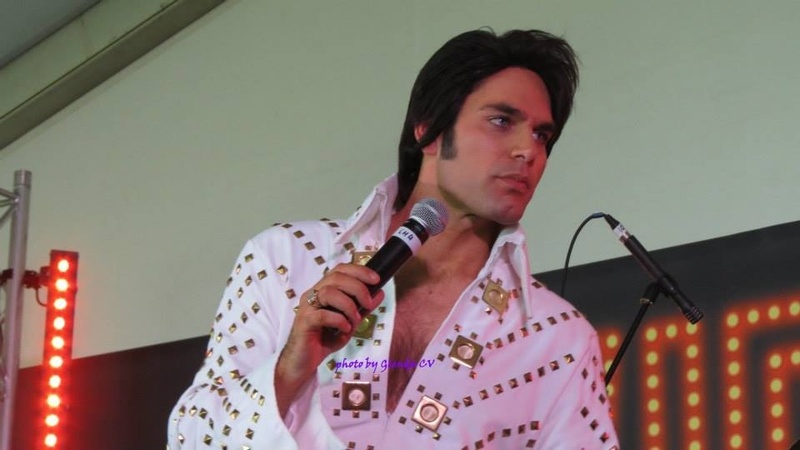 As soon as Nick “The King” Nicolas steps out onto the stage he is in full “Elvis character” and remains in this character for the entire duration of the performance whilst injecting a bit of light hearted humour in the show. If you’re looking for an Elvis Impersonator for your next function, you cannot go past Nick “THE KING” Nicolas. Nick has been performing for the past 10 years and is a classically trained singer who has performed at hundreds of corporate functions, weddings, birthday parties, Christmas parties, engagements and cruises. We guarantee that our performances will exceed your guest’s expectations and will not disappoint. Check out our demo songs and past performances and make an informed decision for yourself. There will be absolutely no disappointments when hiring Elvis Weddings and Celebrations to perform at your next function.